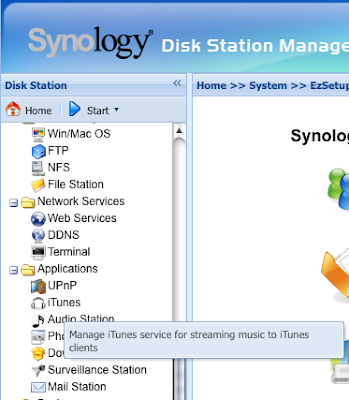 My Synology DS-109+ is a great device. Fast and with a great feature set. 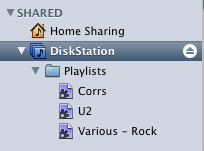 One of those features is the ability to publish music to your local network. To do so, first enable the service - its off by default. Find the iTunes link on the left, and click. 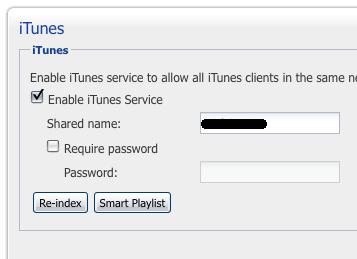 Tick the box "Enable iTunes service to allow all iTunes clients in the same network subnet to browse and play music in the "music" shared folder" and give your Diskstation a name. yes, and thats really cool... shame I can't at the moment see how to get it working! 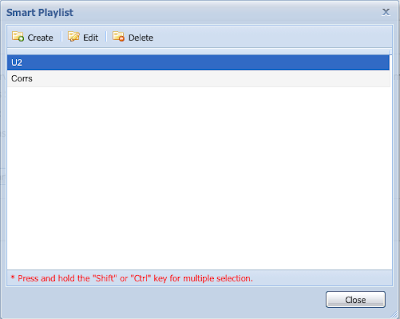 I've copied mp4 to the music folder, and it shows in the browse list, but double clicking does not play the move.